artisJet designed direct to substrate inkjet inks specifically for use with our Direct flatbed inkjet printers. There are many different types of substrates without the need for any pre-spray, pre-coating or priming. 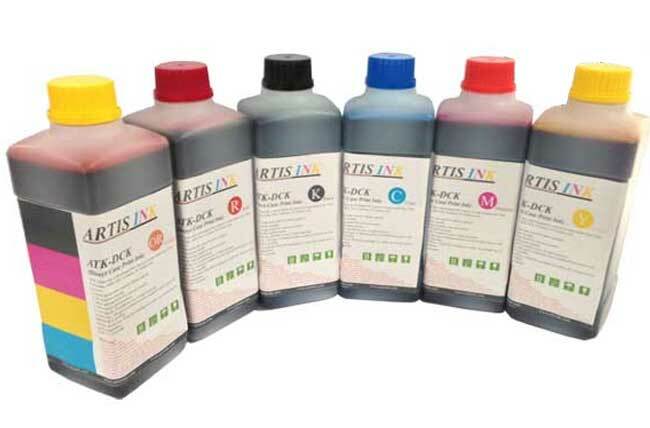 artisJet DTS-U2 inks are suitable for UV LED direct printers, including Cyan, Magenta, Yellow, Black, White and Varnish, etc up to 8 colors. 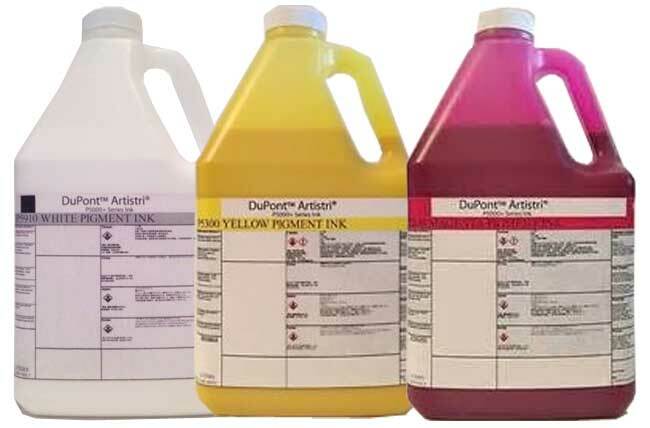 The DTS-U2 ink is for direct print onto different materials including: Leather, PC, glass, tile, metal, wood, plastic board and aluminum board etc without any pre of after print pre-treatment. The DTS-U2 white ink acts as a background layer on the dark materials enhancing the color performances to be sharper. DTS-U2 Varnish acts as transparent layer enhancing the durability and more polishing when necessary in different situations. It is perfectly compatible with artisJet 5000T , artisJet 3000T DTG printer. There are Cyan, Magenta, Yellow, Black, white five colors, DTG-TX2 garment inks are 100% non-hazardous, toxin-free and no harm to human health and environment friendly, 100% biodegradable water based inks. The DTG-TX2 ink delivers excellent color fastness, high elasticity and non-cracking attributes. It can Print on multiple fabric types for both light and dark consistently outstanding quality prints at the lowest printing cost. it is suitable for artisJet 3000S, artisJet 2000S ECO-SOLVENT Flatbed printer with 10 colors covering Cyan, Magenta,Yellow,Black,Photo Black, Light Cyan, Light Magenta, GO,Red,Blue. DPC ink is specially designed for all phone/pad covers in PC, TPU, PU, etc materials. Containing the unique chemical polymer in the materials inside, the DPC ink penetrates into the materials directly in chemical change. The print is anti-water, anti-scratch, and dry fast. The DPC ink will deliver more vivid and sharp color performances and natural color on the materials. 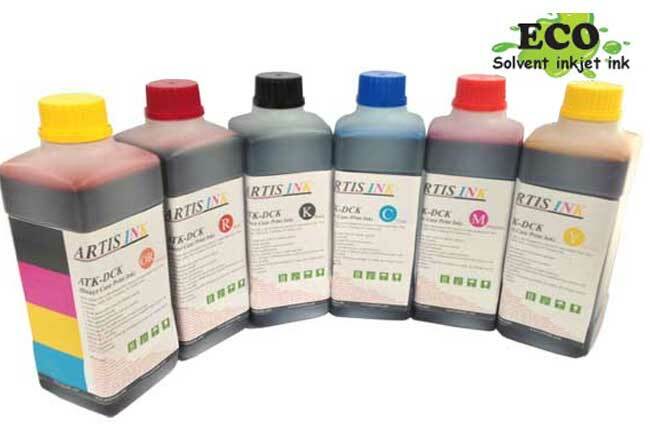 artisJet BRD9 ECO DYE SOVLENT Direct coating-free ink is specially designed for artisJet 3000S, artisJet 2000S and artisJet 5000S eco solvent direct printers. 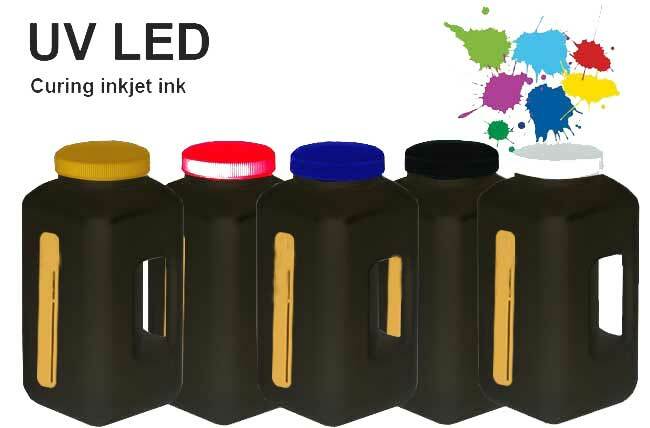 With wide range of compatibility for the print materials covering ABS plastic, Acrylic, Wood, KT board, Crystal, Leather, carbon boards, coated-glass and metal, this type ink is widely used for promotional and personalized industries from trophy/awards, signage, dial meters, USB flash, pen logo printing, Golf ball printing, etc to more.